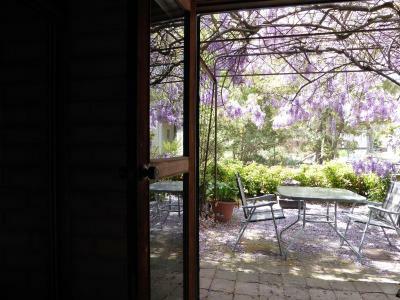 Lock in a great price for Lakeside Lodge Armidale – rated 8.1 by recent guests! We had a lovely breakfast with the proprietor, it was very peaceful. 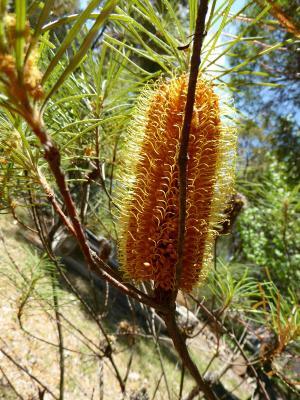 The natural bush setting would appeal to many, especially if you want to be off-the-grid and technology free. Comfy Bed. Great Breaky and friendly conversation. It was a different lifestyle. Everything was excellent and it was lovely to see the mud bricks and beautiful gardens. 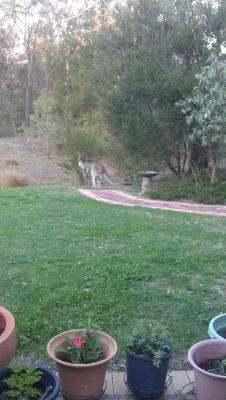 It was lovely to share breakfast with the kangaroos over looking man made lake. 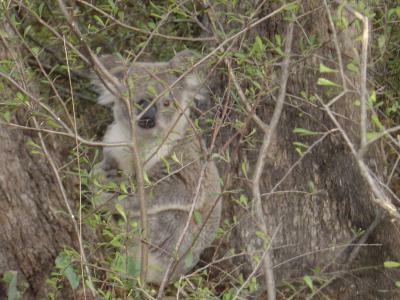 I liked being in the bush but still being close to Armidale. The breakfast was delicious. host was very pleasant and helpful. general feel was relaxing. What an unexpected find. The lodge is set on the edge of a small lake in the bush and is a great place to break the Sydney-Brisbane trip up the New England Highway. Each room on the ground floor has its own private garden area and there are plenty of comfortable lounges on the wide verandas that edge over the lake. Joe was an excellent, unobtrusive host and made us feel very welcome. We woke up to the sound of birds and light dappling though the trees. Well worth the small detour on paved roads. 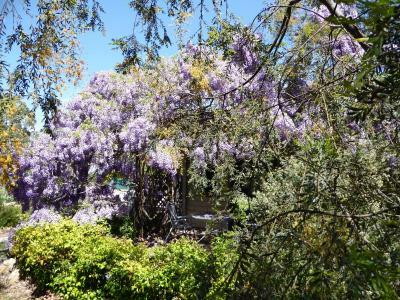 Best to get there mid afternoon to soak up the atmosphere, hang out with the chooks and kangaroos that wander around the property, and be serenaded by birdsong. We didn't want to leave. Will definitely visit again. Delightful host and hostess... very welcoming, helpful but not intrusive. 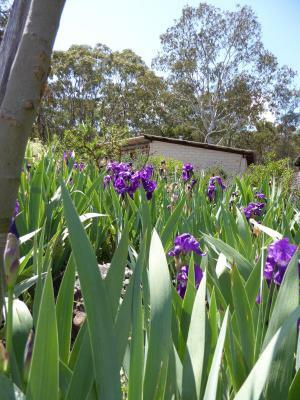 Peaceful, beautiful setting, loved the bush, the garden, the lake ,the birds and the kangaroos. 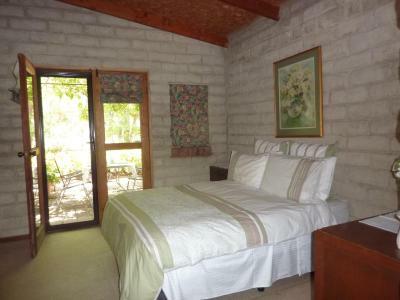 Eco super friendly building... very comfortable bed with luxurious linen and towels. The bath was fabulous. Thank you .. we will be back. Excellent site -- like a mini-nature reserve -- plus excellent, friendly and accommodating hosts. We saw our first kangaroos there! A unique place to stay -- exactly what we look for! The place was nice and comfortable maybe just a little over priced. 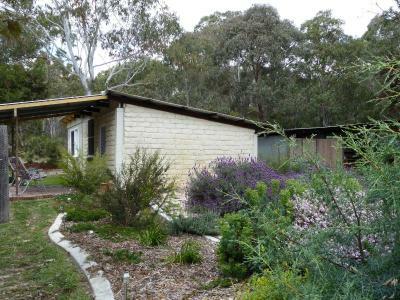 If you are looking for a nice quite out of the way place in the Australian bush you won't get much better. 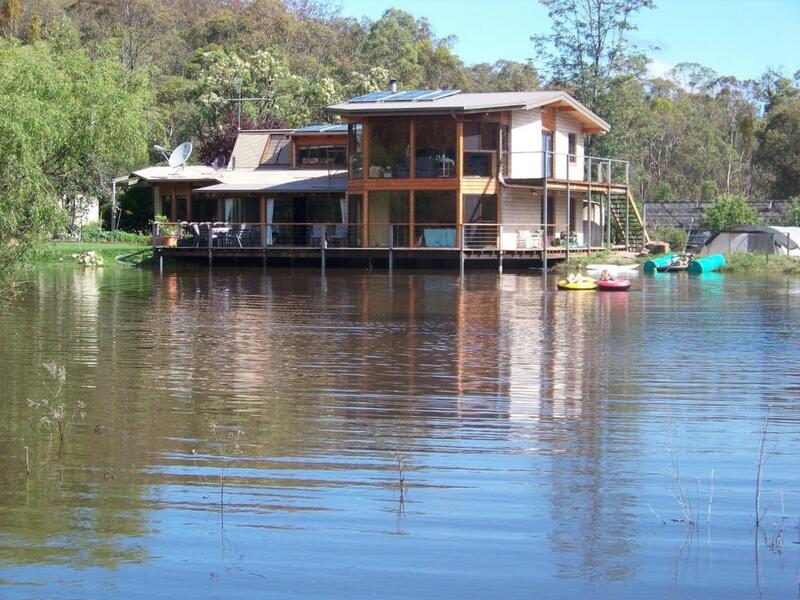 Lakeside Lodge is located in a peaceful bush setting just outside of Armidale in New South Wales. 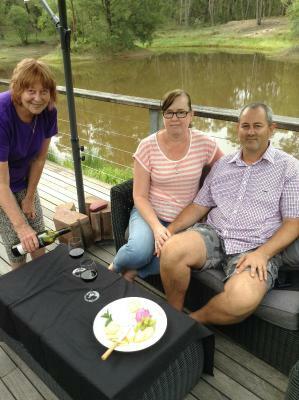 Relax on the deck overlooking the lake and enjoy a wine while watching the the kangaroos and other wildlife. Some rooms have a seating area to relax in after a busy day. 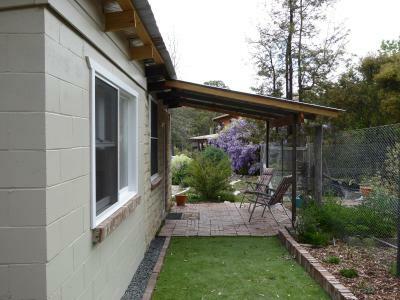 Some units include views of the lake or garden. 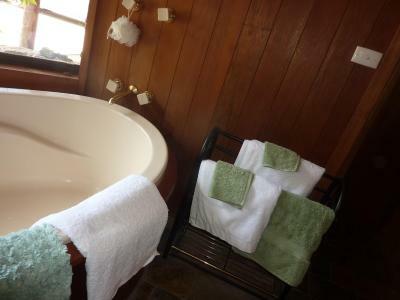 Every room has a private or shared bathroom. This property also has one of the top-rated locations in Arding! Guests are happier about it compared to other properties in the area. This property is also rated for the best value in Arding! Guests are getting more for their money when compared to other properties in this city. 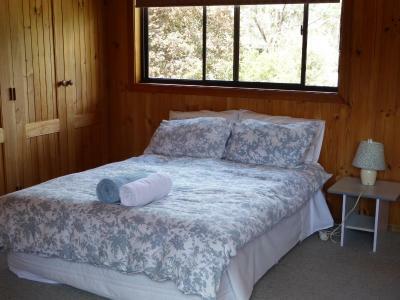 When would you like to stay at Lakeside Lodge Armidale? 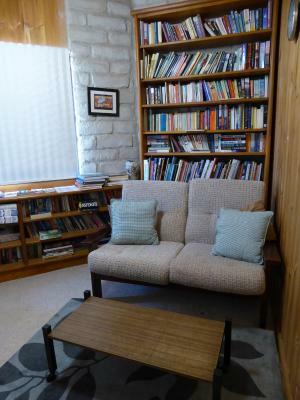 This double room features a CD player, barbecue and dining area. 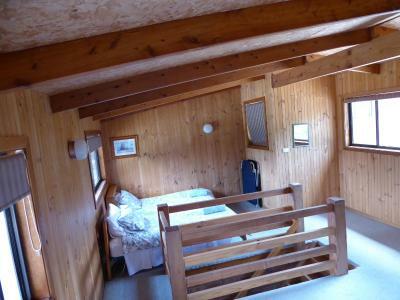 This twin/double room has a DVD player, barbecue and electric kettle. 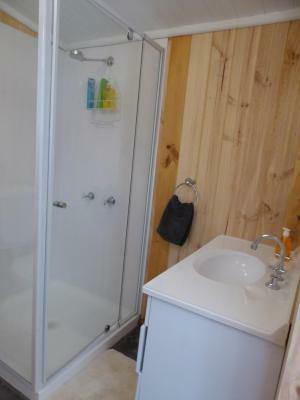 This double room features a soundproofing, stovetop and kitchenette. The house is on 37 acres of bushland. It is built of mud-brick and timber. It is totally solar-powered - has never been connected to the grid. 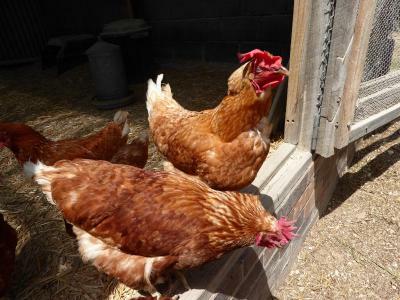 The lifestyle of the property is self-sufficient with a vegetable garden, chooks supplying fresh eggs for breakfast and fruit trees. 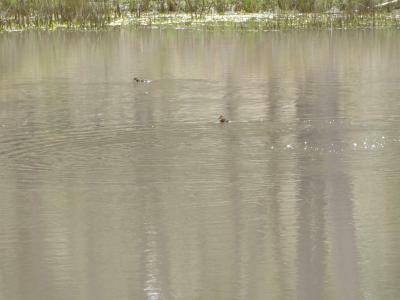 There are many kangaroos who come to drink from the lake, lots of birds and wild ducks, you may find a koala or echidna. It is a very peaceful place and it is wonderful to sit on the deck in the late afternoon with a drink of your choice and watch the wildlife. House Rules Lakeside Lodge Armidale takes special requests – add in the next step! Please inform Lakeside Lodge Armidale of your expected arrival time in advance. You can use the Special Requests box when booking, or contact the property directly using the contact details in your confirmation. The room we stayed in was a bit warm during the night. There was no ventilation. Location. There is no internet connection, unable to use the map to get there, it took long time to reach the place. This property was nothing like its add. Once we saw it we turned around and drove away. No tv. No phone reception. But it was only one night and didnt get to ask many questions, they may have been available. It was a shame we arrived in the middle of a drought. I would like to return when the drought is over. sharing a bathroom. Season meant that the water level was low so no real lake side feel. We wish we could stay for a few more nights!!!!! Lakeside lodge just wowed us in so many ways! The caretaker and the host were so friendly and made us feel like we were home. The caretaker was so generous to take us for a walk in one arvo around the property into the bush to see kangaroos (they come close to the property too!). He was very knowledgeable about the bush and gave us lots of information on where to visit around the area. We booked to stay in the ensuite room which is very spacious with a very lovely study room (with a library) and a luxurious bathroom with jumbo size bath tub to indulge in. There are quite a few windows and doors in the room which let a lot of natural night in. 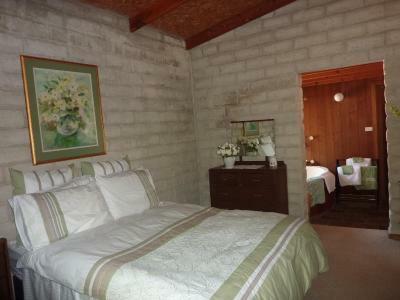 We really love the design of the room (Linda, the host, built it nearly 40 years ago!). The bed was very comfortable and we had two very decent sleeps. 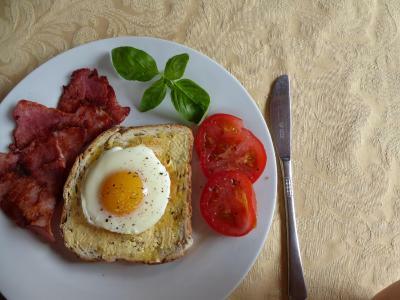 The breakfast was great and would love to have dinner with at the property next time we stay. The starry sky at night was definitely a big bonus. 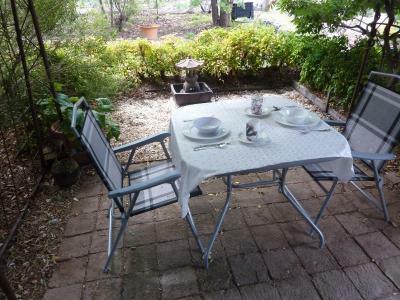 Even though it was about a 20-minute drive away from Armidale town centre, the drive through the bush and farming land was very enjoyable and people who love tranquility would love it just as much as we do! Our short holiday was made perfect because of the stay at Lakeside lodge. Please keep the great work up! We hope to stay with you guys again some time soon! We were so disappointed. This was not on a lake, it was a mud dam much further out of Armidale than stated and a totally different town than advertised. 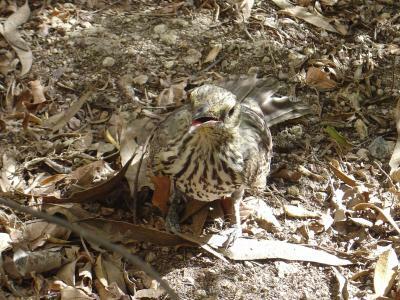 It was on a dusty bush block down a very long dirt track in thick scrub. Literally in the middle of nowhere. We chose not to stay as we had booked a family room at $180 and were shown the owners bedroom while she was away in port Macquarie. A very small room with a small double bed, dusty.